Stating that he believes the "plan is unlawful"
reserves of nearly £200 million which could be used to refurbish the school". 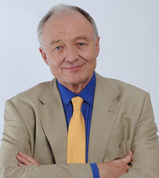 "Ken Livingstone knows nothing about this school and the complex issues it faces. If he did, he wouldn't have spelled its name wrong. "The simple fact of the matter is that the council is currently spending tens of millions of pounds on improving local schools, providing extra places in some of the borough's best performing and most popular ones and also on setting up new schools to give parents even greater choice when it comes to the education of their children. "Elliott needs a multi-million pound investment to provide the kind of school building and facilities that will allow its pupils to thrive. Mr Livingstone may think he can just magic money out of thin air, but in the real world the rest of us have to budget properly and work within the nation's financial constraints. These plans, which are the subject of ongoing public consultation, have the full backing of Elliott's headteacher and governors and are designed to deliver a great school fit for the 21st Century."